Christmas is almost upon us! It’s such an inspiring time of year. And I’ve been searching online for some beautiful PDF patterns to stitch up for the holiday season. So just like last year, I’ve put together a collection of inspiring Christmas patterns from some of my favourite Australian designers. Because I really love to support our locals! You’ve got time to create a few of these, but don’t forget that you can always add these projects to your list for next year too. 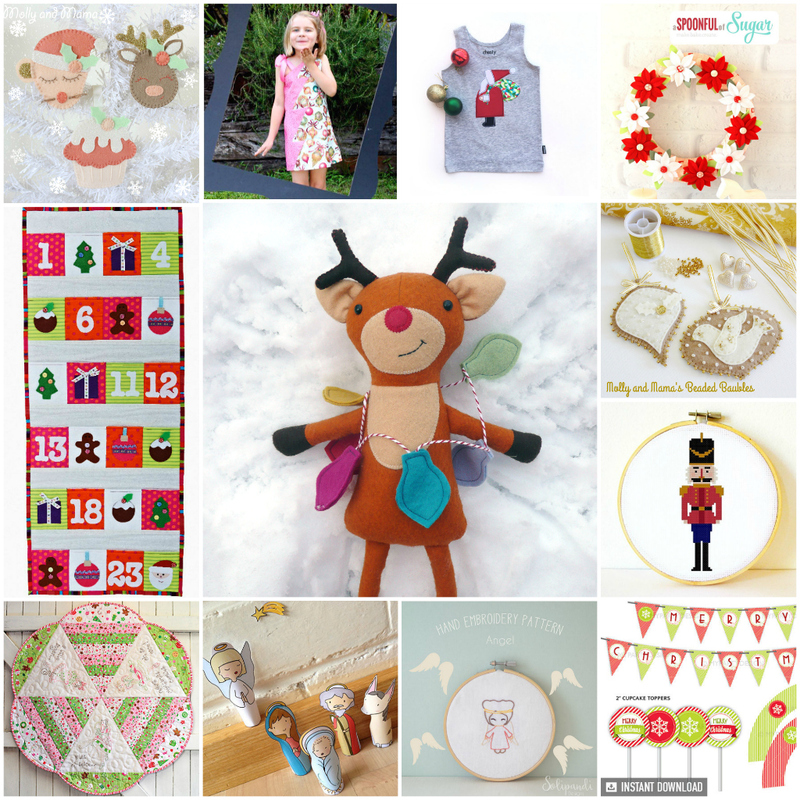 My Christmas sewing list for 2016 is growing every day! But that’s a good thing, right? If you know me well, you know I have a thing for pink and green. So this Christmas Angel table topper really jumped out at me. 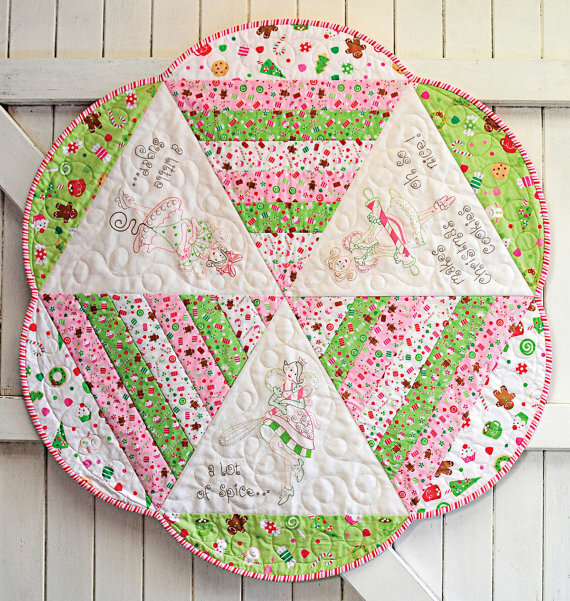 You can purchase it from Quilting Gems. I love the embroidery detail too! Monique of Charlotte Alexander has a lovely range of counted cross stitch patterns. 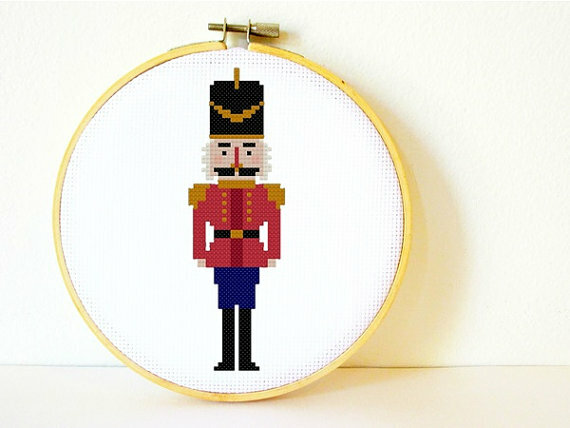 I was so taken with this Nutcracker design. Isn’t he handsome? Mother and Daughter team, Lisa and Sarah, from A Spoonful of Sugar, have designed a beautiful felt and fabric wreath. But I thought it would look really lovely as a table centrepiece too! 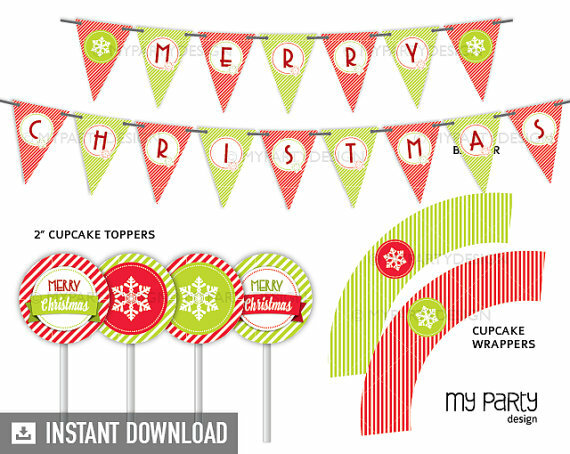 My Party Design has your Christmas party printables covered. I love Cristina’s Party Pack! You could theme the whole kids’ table on Christmas Day with this! Now here’s a lovely way to get in the festive spirit. 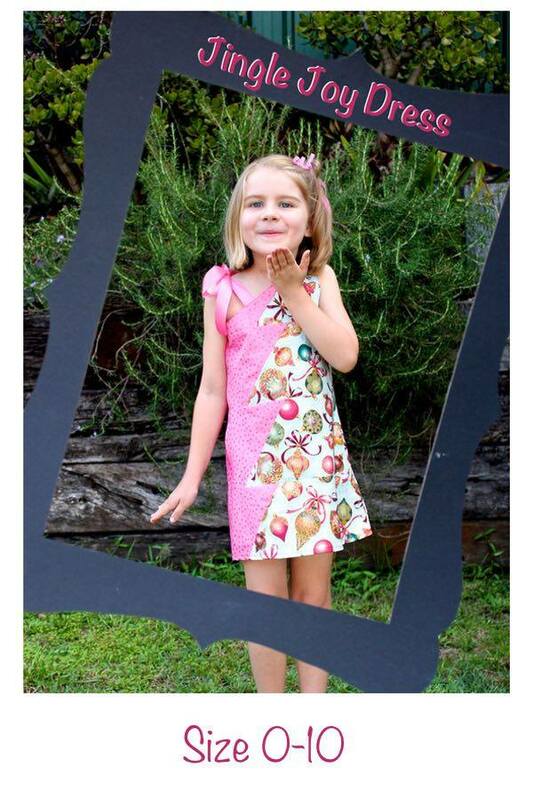 Not only can you sew this Jingle Joy dress, but you can gift to a little one who will love showing it off. And Tigerlily Patterns also has a matching Tinsel Trees shorts pattern too! 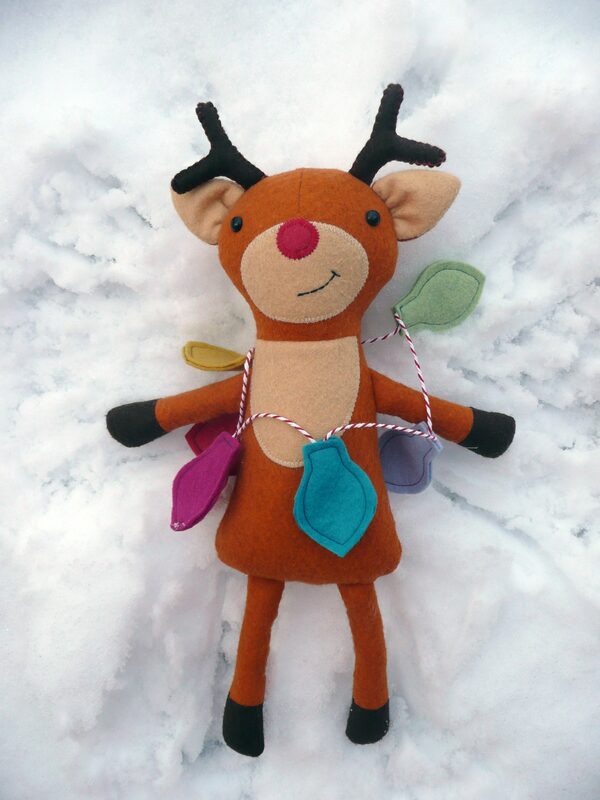 Frazzy Dazzles‘ Ripley the Reindeer is the sweetest little felt reindeer pattern! How cute does he look making snow angels? I think this would be a perfect gift idea for the little ones. Cut Sew Love have a gorgeous range of appliqué patterns for Christmas, including this ‘Jolly Santa‘. Cute much? I’d love to see him adorning a Santa Sack, or stocking! 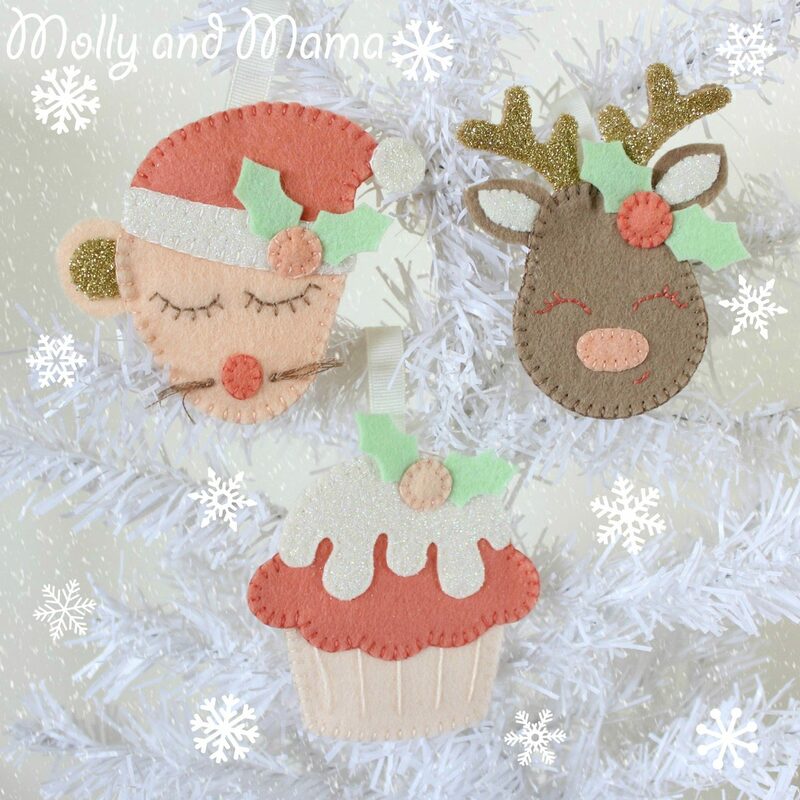 These Molly and Mama ‘Festive Felties’ were designed exclusively for One Thimble e-zine (affiliate link). Not only would they be perfect for ornaments, but you could applique them to give tags too. Read more about this pattern HERE. Do your kids put on a play or performance at Christmas time? 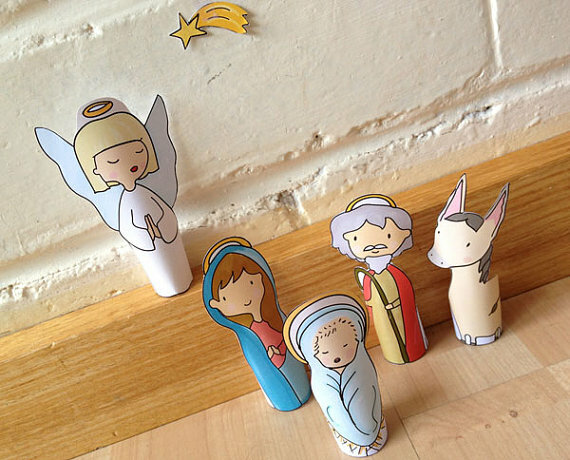 Curmilla has hand drawn this lovely printable PDF file of Christmas Nativity finger puppets. Where was this when I was 5? I love it! 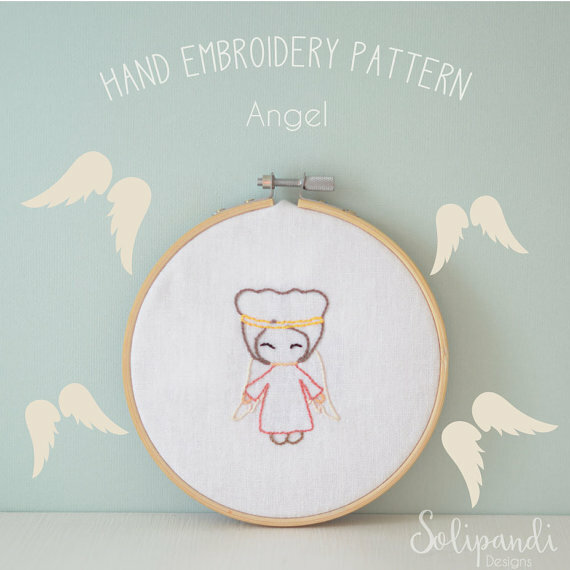 Solipandi Shop has a delightful range of embroidery designs perfect for beginners. And this little singing angel really caught my eye. Pretty! If you head to Tied With A Ribbon, Jemima has lots of Christmas patterns to get you in the holiday spirit. But I think one of the most important Christmas decor items to own is an Advent Calendar, right? I love the cheery hues in this one! 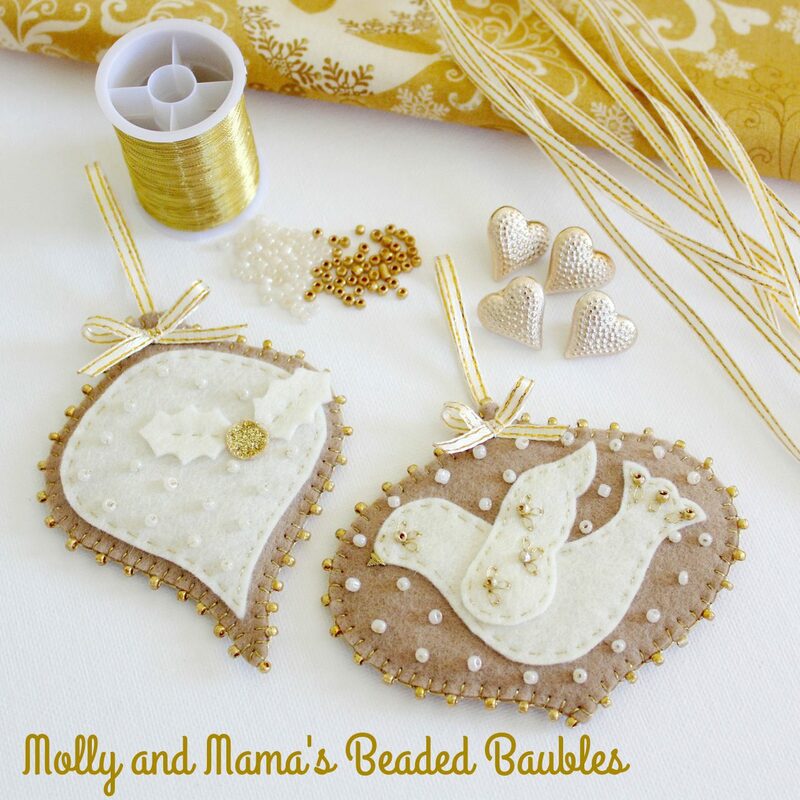 And the Molly and Mama Beaded Baubles are a quick stitch and a lovely gift idea for the Christmas traditionalist! 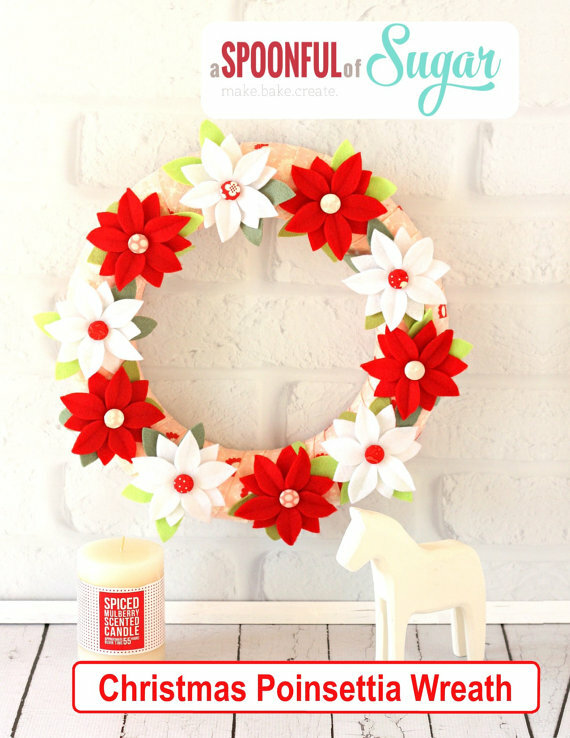 I hope you’ve found some Christmas pattern festive inspiration here! I have so much still to sew this holiday season, but I love the challenge and the late night stitching. It adds to the fun! Let me know what you’re making! Thanks so much for the feature! Such a great collection of festive designs. You’re so welcome Lisa! Thanks for stopping by.